Fodder is any agricultural foodstuff used specifically to feed domesticated livestock such as chickens, horses, pigs, cattle and goats. The term refers to food given to animals, rather than the food they forage for themselves. 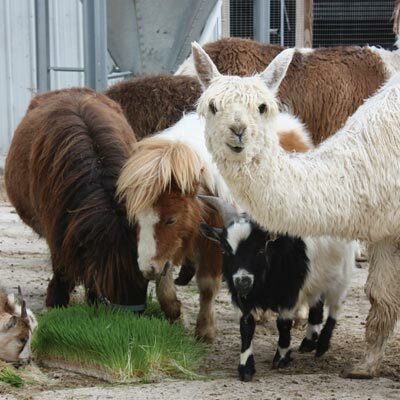 Types of plants typically grown for fodder include alfalfa, barley, oats, clover, grass and wheat. 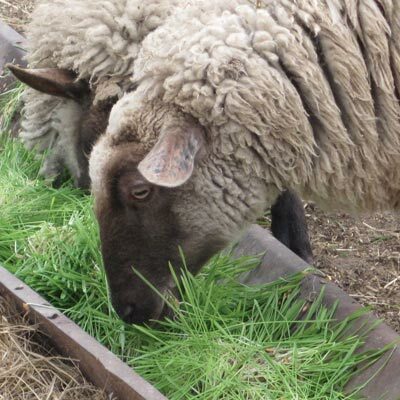 With hay and grain prices reaching record highs and unpredictable weather patterns damaging pasture lands, farmers and ranchers across the country are in need of a dependable and affordable feed for their livestock. FodderPro Feed Systems allow you to take control of your livestock feed regimen and bring your whole farm one step closer to sustainability. 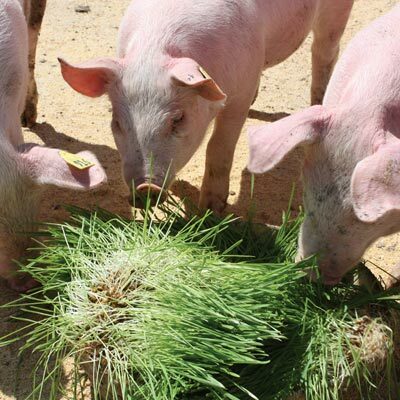 Feeding hydroponic fodder will not only benefit your livestock, but almost every aspect of your farm. What are the FodderPro Feed Systems? Our unique hydroponic fodder growing systems are designed to rapidly produce highly nutritious, economical fodder at a low cost, with minimal labor. The systems utilize a 7-day growing cycle to produce high-quality, nutrient-, protein- and enzyme-rich fodder each day. With a variety of stock and custom options available, from hobby to commercial sized, we have a system to fit your needs. The systems are designed to save you money and time, as well as improve the lives of your animals by making them happier and healthier. 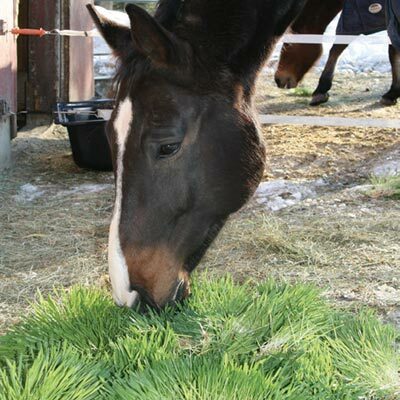 What are the benefits of feeding fodder? The FodderPro Feed Systems provide fresh, live food to your livestock every day. The fodder produced is highly palatable, which makes eating more enjoyable for your animals. You can expect to see many changes in your livestock after adding fodder to their diet. In addition to improving the lives of your animals, you will reap higher yields and save considerably on feed and energy costs. Our system typically costs less than half of what other fodder systems cost because it utilizes low energy and water consumption, and you will have no transportation or storage costs. The fodder can be grown all year long, regardless of climate. Also, since all of the fodder produced is edible, including the seed mat, waste and spoilage are virtually eliminated. What types of FodderPro Feed Systems are available? We offer seven stock FodderPro 2.0 Feed System models. FodderPro 2.0 Systems are ideal for those looking to feed just a few animals, to larger farms with a variety of livestock. They take up only a small footprint, making them the perfect choice for farmers with space limitations. For commercial operations with hundreds or thousands of animals and larger spaces available, we recommend our FodderPro 3.0 Commercial Feed Modules. Available in two sizes, these systems can be combined to produce any amount of fodder needed on a daily basis. How are the FodderPro 2.0 Feed Systems designed? 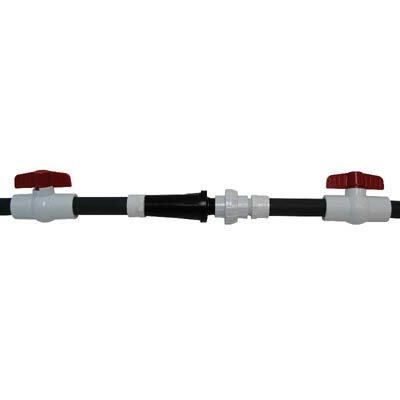 The systems are constructed from UV-stabilized, NSF-quality PVC channels which sit on the heavy-duty galvanized steel frame. 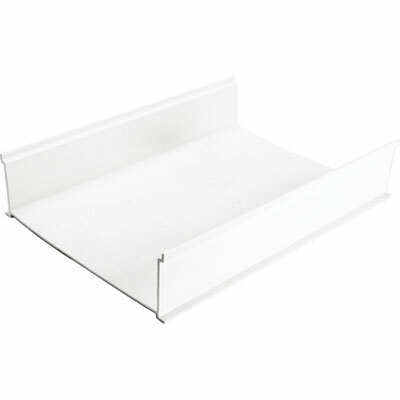 The Full-Size Systems have seven tiers of growing space and the Mini Systems and Micro System have four tiers. 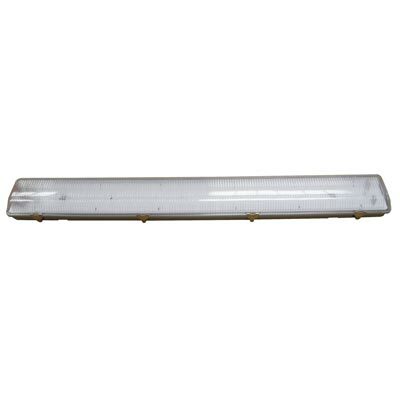 Standard systems have four 12' long premium GT80 channels per tier, expanded versions offer six channels. The NFT drain-to-waste system uses minimal water each day. 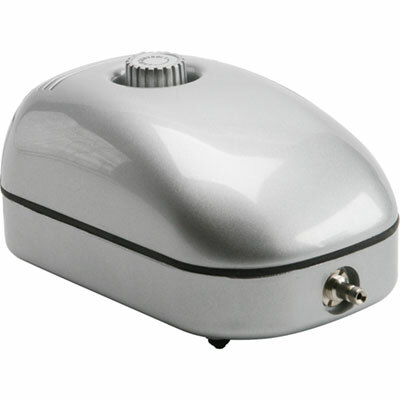 To attach multiple units, we offer a multi-unit adapter kit. What do the FodderPro 2.0 Feed Systems include? The systems include everything you need to start producing fodder. In addition to the frame, you will receive 12' long GT80 channels, seed screens to prevent seed wash and 5-gallon Easy Soak Buckets with poly-net bags for easy soaking, draining and distribution of the seeds. The systems also come with Seed Spreaders. How much fodder will be produced? In a trial based on barley grain, we found that 1 lb. of dry barley seed can produce 7.33 lbs of fodder. 0.75 lbs. of seed per foot means the system requires approximately 9 lbs. of seed per 12' channel. At this germination level you can expect 60 to 65 lbs. of fodder each day. The typical fodder diet for livestock is 2% of the animal's body weight, so different animals will require different amounts of fodder. We recommend purchasing a small quantity of seed for trial so that you can decide how much fodder is right for you. Larger or smaller feed capacities can be accomplished using custom-designed FodderPro Feed Systems. It is important to keep feeding your animals at least 1% of their body weight in dry roughage daily to aid in the digestion (i.e. slow down their metabolisms) and utilization of the nutrients from the fodder. How are FodderPro 3.0 Commercial Feed Modules designed? FodderPro 3.0 Modules are designed with the highest quality materials to be long lasting in harsh or corrosive environments. These systems can produce tons of fodder each day. 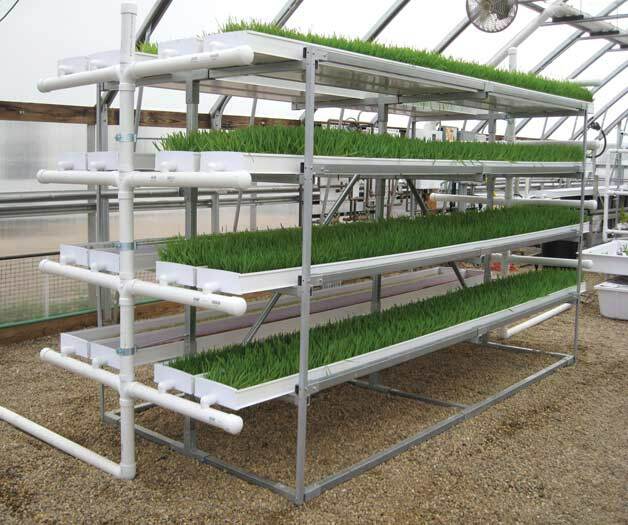 Featuring 6'3" long growing channels that are each 16" wide and 2" deep and supported by a galvanized steel frame, these systems require little maintenance and are designed to use space efficiently. FodderPro 3.0 Commercial Feed Systems come complete with everything you need to start growing hydroponic livestock feed in commercial quantities today. The efficient design of these modules allows producers to grow one ton of fodder with only one man hour of labor each day, keeping costs low. 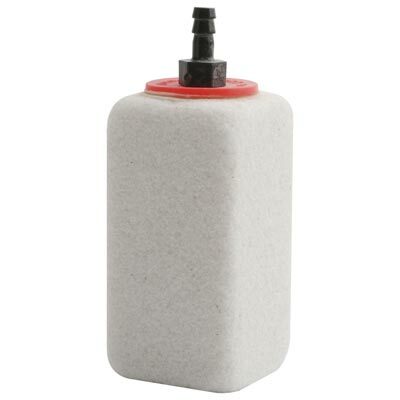 FodderPro 3.0 Commercial Feed Modules are available in 750 lb. and 1,150 lb. 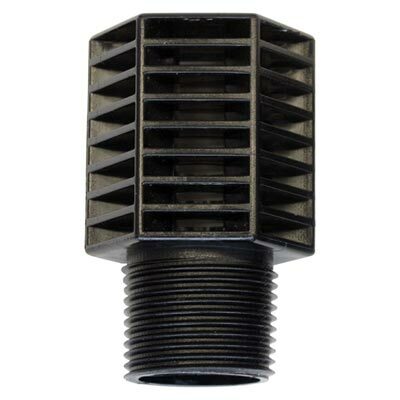 sizes and can be easily combined to greatly increase production capabilities. What is involved in maintaining the FodderPro 2.0 Feed System? 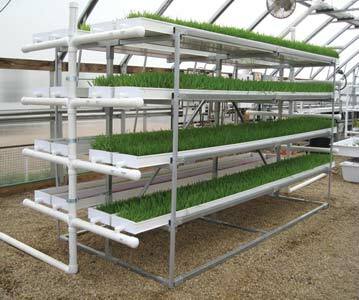 The system requires an average of less than an hour of daily maintenance, but it is important to sustain an environment ideal for growing sprouts. The relative humidity of the area should be between 40% and 80%, and the water and ambient temperature should not rise above 75.2°F, nor drop below 60.8°F. Natural ventilation and steady air movement in the surrounding area are crucial. In order to aid in the growth of your fodder, we recommend using full spectrum fluorescent lighting to control photosynthesis and sprout color, and we also suggest that you do not disturb the seed once the rootlet emerges. 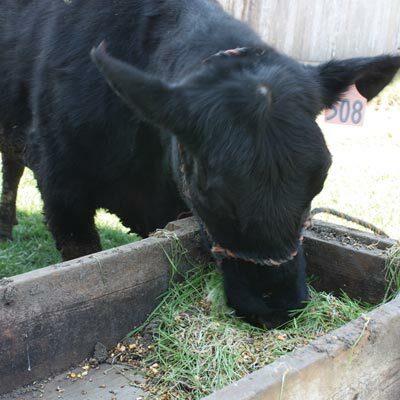 One of the most important aspects of growing fodder is maintaining a clean environment. We recommend a 10-minute soak in 10% (or milder) sanitizing solution to cleanse the seeds. Afterwards, soak the seeds in clean water for at least 24 hours. This will cleanse them of the sanitizing solution as well as loosen the exterior shell, which will prompt a faster germination rate. The area containing the system should also be cleaned at least once a week. 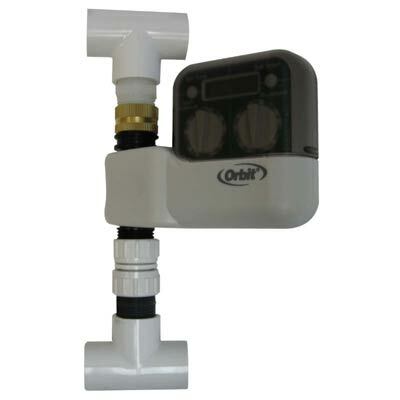 If you would like to have the water turn on and off automatically instead of doing it manually, we recommend installing a timer and solenoid valve. 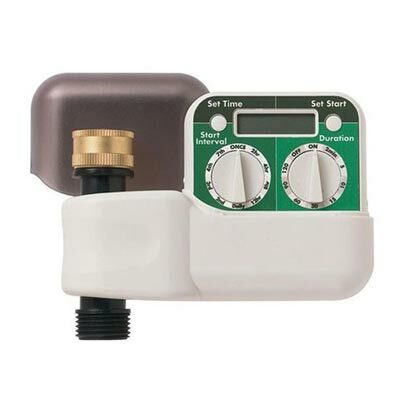 The timer can be wired to the valve so that the system will turn on and off at specified times. For example, our system is programmed to run for five minutes every two hours. Have questions about Fodder Systems? Visit our Live Help page or Contact Us.